Most people have a morning routine. Alarm goes off, coffee pot goes on, maybe you head to the gym – it’s different for every person. But for most of us, the routine follows the same general pattern on a given day. Hopefully, by God’s grace, part of that routine is opening the Word of God. This action, like the routine as a whole, looks different for different people. Maybe you’re in the habit of reading one chapter of Scripture a day. Or perhaps you read a psalm and a proverb. Or maybe you only read a few verses and then journal your way through them. There are advantages and disadvantages to each of these plans, and there is also gloriously freedom under grace. Your pattern might differ according to your stage in life, the age of your children, or even your personality. But in the end, there is great benefit if you open God’s Word and take it in on a daily basis. But how do you open it? What is your attitude when you lay God’s Word before you? How do you approach His Word? 1. Thank you for loving me enough to tell me the truth. Jesus prayed for His disciples: “Sanctify them by the truth; Your Word is truth” (John 17:17). We can trust God to tell us the truth, and that is a truly wonderful thing. In a world of half-truths, mostly-truths, and non-truths, we have a Word of truth at our fingertips. We have a God who loves us too much not to be honest with us. Of course, that means opening the Bible is not always a comforting experience. In its pages, we will find the Holy Spirit challenging our thoughts, our behaviors, our fears, and our doubts. But in each case, we can be confident that God is telling us the truth even if the truth is not necessarily something we want to hear. Though wonderful, this is also a belief we must fight for, and I don’t mean in this case fighting in the public square. I mean fighting in our own hearts. We must each approach the Bible, on a daily basis, reminding ourselves and thanking God that He is indeed telling us the truth. Thanking God for this, if we truly believe it, will determine in large part what comes of our Bible reading. Will we read and obey, even it it’s a costly obedience? We will do exactly that if indeed we believe God is telling us the truth. That means, uncomfortably, that our standard of obedience is reflective of something more than our willpower; it’s reflective of whether we believe our God to be honest or a liar. 2. Read me, even as I am reading this Word. In a prayer like this, we are acknowledging the unique power of the Bible. 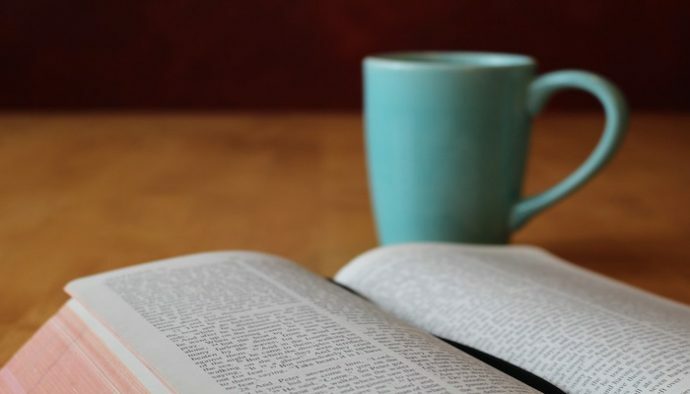 We are further acknowledging that we are coming to God’s Word not for mere education, not to satisfy a vain curiosity, not to just out of habit; we are coming to God’s Word acknowledging its authority in our lives. If God has given us His Word, then as the Holy Spirit opens our eyes to the way our thinking, our believing, and our behavior falls out of line with it, then we will repent. For the word of God is living and effective and sharper than any double-edged sword, penetrating as far as the separation of soul and spirit, joints and marrow. It is able to judge the thoughts and intentions of the heart. No creature is hidden from him, but all things are naked and exposed to the eyes of him to whom we must give an account (Heb. 4:12-13). 3. Help my heart to be good soil today. Jesus told a story one day about a farmer that went out to sow seed, and he did so liberally. The picture we get is of the farmer, in a non-discriminate way, throwing the seed from his bag onto all different kinds of soil, and the seed had varying results. But it was the same seed – the quality of the seed never changed. The only difference between the seed that was picked off by the birds and the seed that eventually resulted in fruit-bearing vegetation was the quality of the soil. So it is with us. The quality of the Word of God doesn’t change. But what does differ is the state of the heart on which the seed of God’s Word falls. And the state of that heart might change even in us day by day and year by year. When we come to God’s Word, then, we would do well to check our hearts. Are we obstinate? Are we stubborn? Are we proud? Or are we coming, acknowledging our need for a Word from Him, ready to receive and be taught and transformed? Yes, Lord, help our hearts to be good soil today. Come to the Bible, Christian. Take it and read. And as you do, let the confident prayer of someone who expects God to speak through what He has already spoken be on your lips.